At Amberside, we offer quality residential care for the elderly or frail. We also offer specialist dementia care. 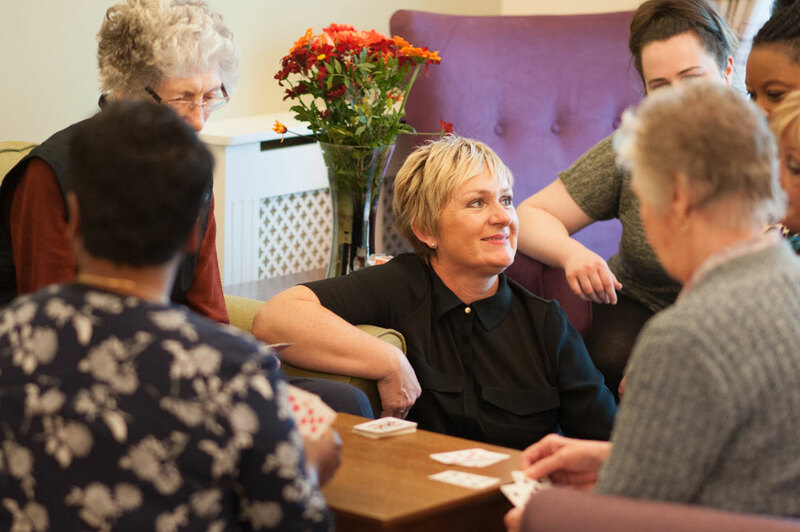 We have a dedicated team of care staff who are on hand at all times to help and support our residents as much or as little as they need. Each resident has a tailored care plan designed to encourage as much independence as possible. All of our staff have very high levels of training in their respective fields. Our fantastic team is one of our real strengths. We all work together with residents and their families to make the transition to care as trouble-free as possible. We continue this level of personal care throughout the residents’ stay, helping them to enjoy life with us. Caring for someone with dementia can be very challenging. Our team have specialist training in dementia care to enable them to provide the right type of care and support for these individuals. We are able to offer short-term and respite stays to enable residents to recover in comfort. Knowing your loved one has care on hand at all times until they are ready to return home can provide peace of mind for all involved.